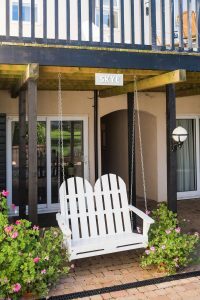 Modern and stylish and offering ideal accommodation for couples looking for a great value break in the Norfolk Broads. 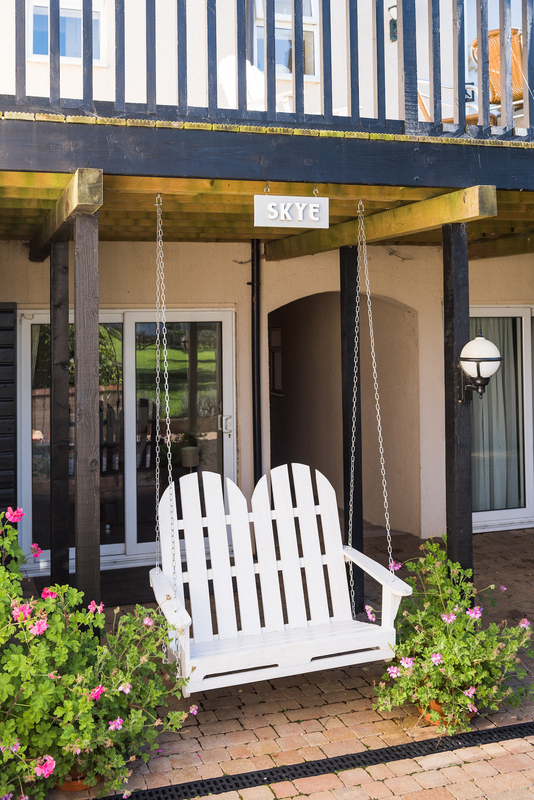 Situated on the ground floor of the old stables under the historic clocktower, Skye looks out over the lawns of the old walled garden. 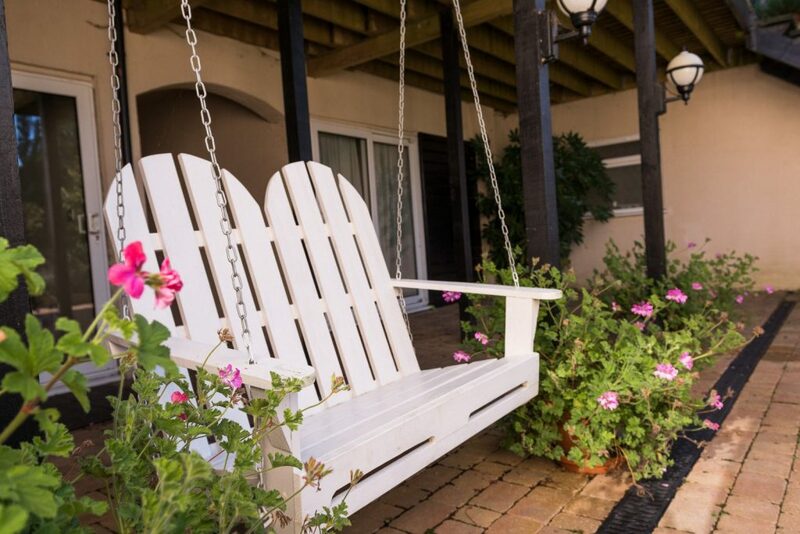 With its swing seat, it is an ideal spot to relax and enjoy the afternoon sun or the magnificent night skies. 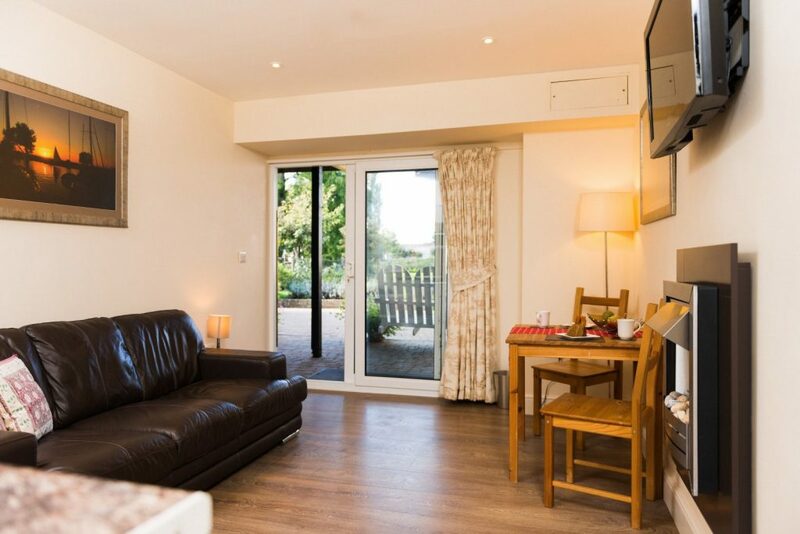 The apartment provides easy access to most of the park’s facilities and activities, including our outdoor swimming pool and the Muskett Arms our own bar and restaurant. A double glazed sliding door provides access to the open plan living / dining area, which has a comfortable leather sofa together with flat screen television including Freeview access and integral DVD player, providing an ideal area to reflect on the day’s activities and to plan for tomorrow. There is a pine dining table and seating for two together with a newly fitted kitchen including electric cooker, fridge with freezer compartment, microwave oven, toaster and kettle. 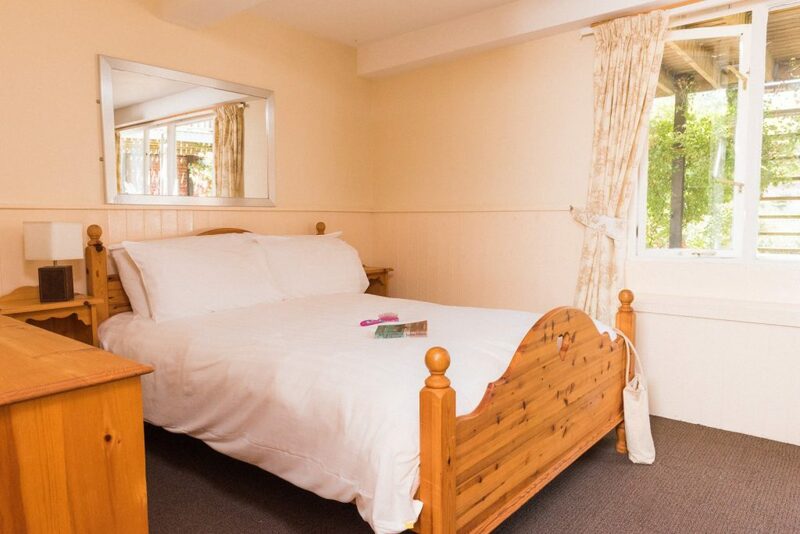 The double bedroom is located at the rear of the apartment, and with its large east facing window, the morning sun floods this room with light. 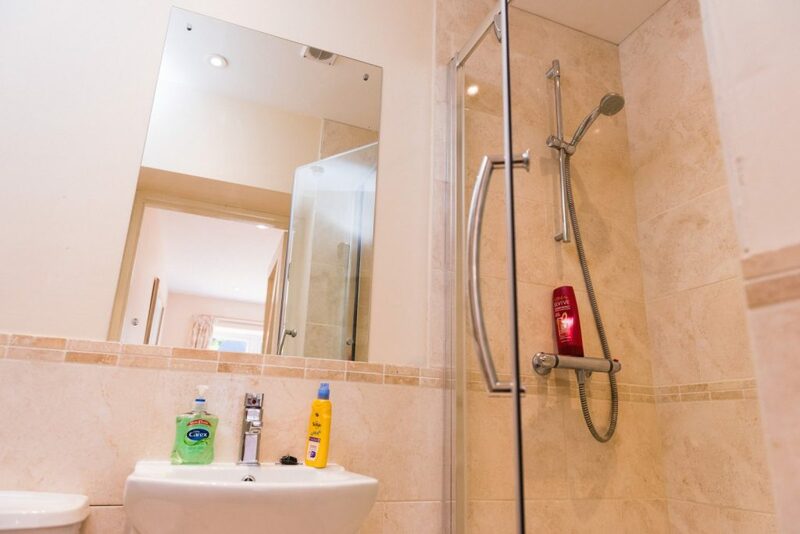 The en-suite bathroom is fitted with a large shower, hand basin and toilet.